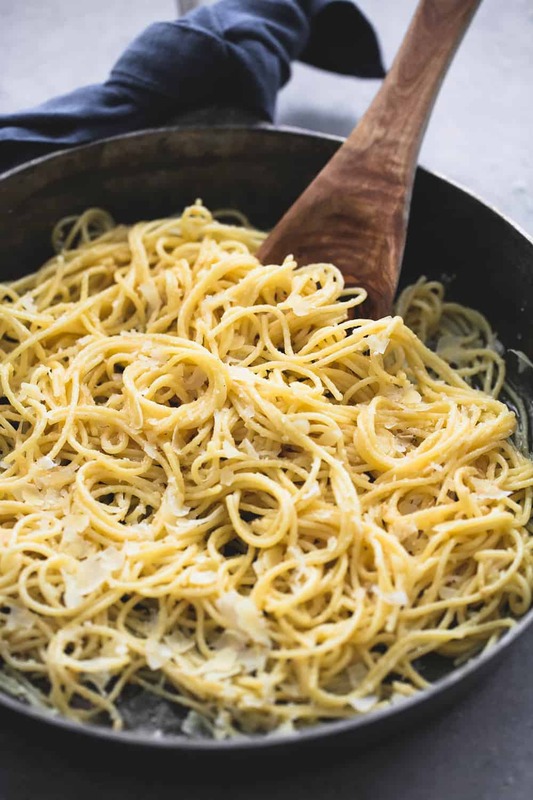 Creamy Parmesan Spaghetti is just 6 ingredients and one pan! It is a delicious quick and easy meal that the entire family will go crazy over! 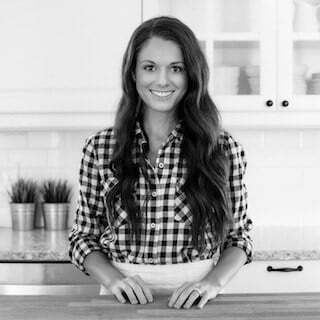 Hey it’s Tiffany from Creme de la Crumb back to share one of my favorite go-to busy weeknight meals with you! You can’t go wrong with spaghetti but I’m not a big fan of red sauce and ground beef – gasp! So this is my preferred way to enjoy a big bowl of spaghetti! You won’t believe how easy this recipe is with just 6 ingredients, plus it only takes about 20 minutes to prepare and doesn’t dirty up a bunch of pans and pots. 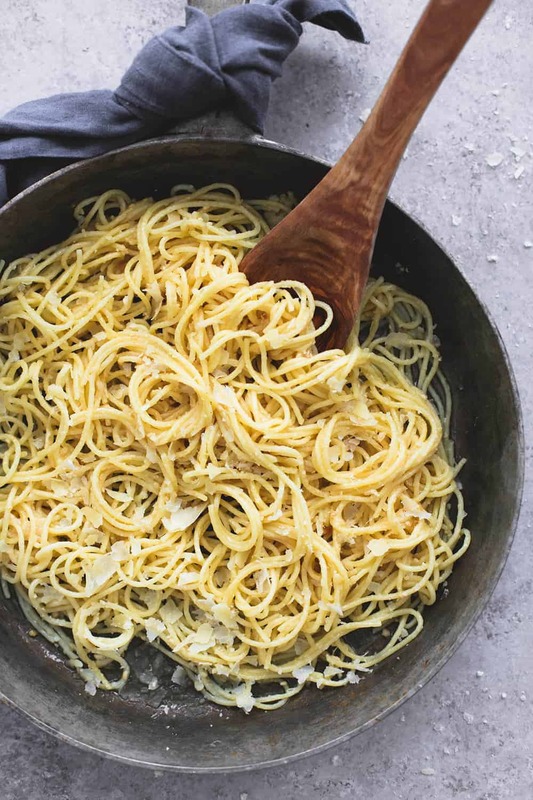 Garlic, butter, parmesan, and pasta – doesn’t get better than this right?! Cook spaghetti noodles according to package's instructions. Drain and set aside. Add butter to a large skillet and melt over medium heat. Add garlic and stir until fragrant (2-3 minutes). Transfer spaghetti to the pan and stir to coat in the garlic butter. 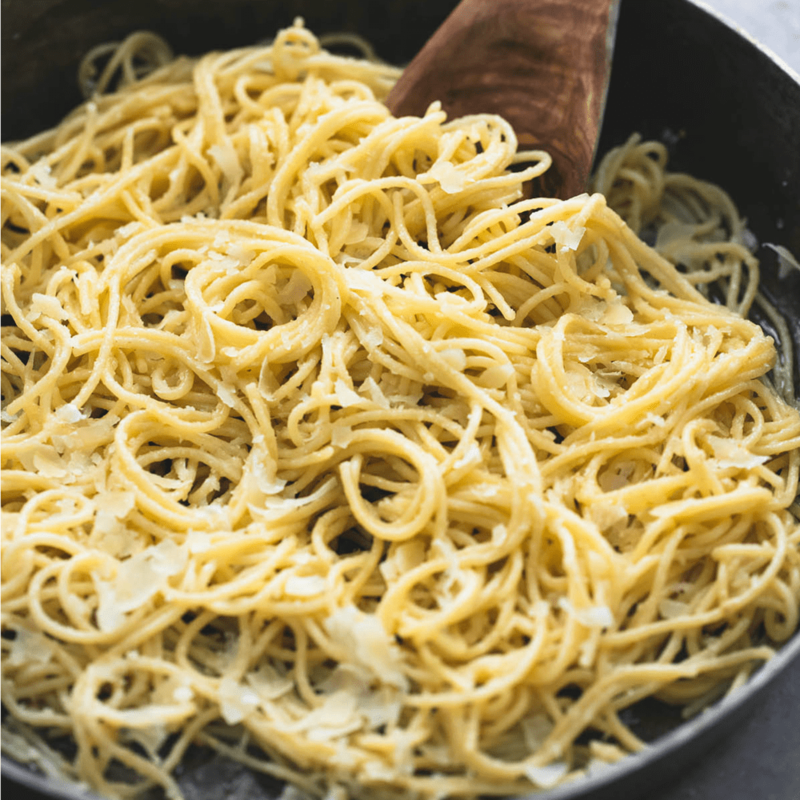 Add heavy cream and parmesan to pan and stir until parmesan is completely melted and combined and noodles are coated. Season with salt and pepper to taste, sprinkle with parmesan cheese and serve immediately. Can you please suggest to me what I could use in place of the heavy cream in the recipe? Could I put chicken and a vegetable in it as well to make it a complete meal? Such a good quick midweek dinner – thank you! What is heavy cream? Like whipping cream?? All we have is coffee cream an 1/2&1/2, whipping cream. Yes, heavy cream is the sometimes called heavy whipping cream. Thanks for following along with me! !